Breaking: A migrant thought to be a 17 years old boy has died trying to cross after falling from a lorry. He was found seriously injured near the ferry port of Dunkirk and was taken to hospital where he died later. Nothing more is known, not his nationality. More people are making their way to Calais. A local activist counted 50 people sleeping rough in or near the park St Pierre, half of them minors. Now police are patrolling to prevent people sleeping there The Independent has published in the first page a sensationalist and rather confused article in which camps old and new are mixed (the self-orgnized camp near Norrent Fontes has been in existence for years and only takes limited numbers of people who can pass soon). Baker, a 19 years old from Sudan was deported back to Sudan. He was arrested in the jungle during the eviction. He resisted deportation a first time, then his solicitor made an asylum application that was refused. The second time they took him to the airport he did not come back. Nobody knows what happened to him after he was deported but there are serious concerns about his safety: on arrival at Khartoum people are usually taken by intelligence services and interrogated, the suspicion being they could have been part of armed groups. Another Sudanese was deported from Vincennes last November. Other Sudanese arrested in France are threatened with deportation; some were saved at the last-minute when their solicitors making legal representations but the rate of refusals for Sudanese in France is very high and going up. Three Eritreans are also threatened with deportation to a brutal military regime: as for the Sudanese if deported back the risk of degrading and inhumane treatment would be a certainty rather than not just a risk. Some Afghans were deported back to Afghanistan after being returned to Norway by France. Detention centres in France are full and deportations on the increase. More and more people are arriving in Europe, most escaping wars and genocide, and more will arrive in the coming years: arrivals are on the increase and predicted to increase more. The year 2016 has been the deadliest ever, 5000 people have died in the Mediterranean. All what governments have to offer as way of ‘solutions’ is more walls; more police raids; more refusals of asylum claims; more detention; and more deportations! The EU leaders have made accords with Sudan’s genocidal dictator Bashir (process of Khartoum); they put pressure on the Afghan government to take back more refugees, in view to deport 80.000 Afghans from Europe. A 16 years old was killed by the Taliban after being deported from Denmark, his brother who was deported with him has gone underground and is trying to come back. They are resuming deportations to Greece (due to re-start in March next year); readmission accords with Turkey; denial of participating in rescues by sending rescue ships because saving people would encourage more to come, as David Cameron callously stated ; militarization of borders and war ships in the Mediterranean; training the Libyan coastguard and financing detention centres in Libya; more push backs. I have no news of serious injuries on that occasion but that was lucky, several people were hit and a local activist had a rubber bullet flying inches from his head. It looked a bit like a rehearsal for the eviction, robocops surrounded the jungle and came very close, we could not breathe because of the gas, I nearly went down, an Afghan who was running in the same direction grabbed me from under the arms and supported me to the Lake View restaurant’s back garden, by the lake there was still a bit of air and I revived. It does not happen only in Calais. Extremely brutal forms of crowd control are being used against migrants in Ceuta and Melilla, Greece, Bulgaria, Hungary, Serbia etc, as well as against protesters in France. Nobody but absolutely nobody wants to live in the ‘jungle’. The reason we opposed the eviction is that there were no solutions offered other than a program of mass dispersal and mass deportations! In the ‘jungle’ people live in dangerous and appalling precarity, but at least they have each other, they organize with their communities and they make strong connections with the other communities. CAO mean that people are dispersed, communities broken, solidarity links severed and people isolated and disempowered. Until the eviction started it was not clear at all what people wanted to do. Thousands left ahead of the eviction, and disappeared. Many went to Paris but most did not stay there, they moved to other areas probably to avoid police raids in Paris. A few thousands wanted to go to the new accommodation centres (CAO) as they had already applied for asylum in France or wanted to apply, and were just happy to get indoors. So the first day of the eviction, Monday 25th October, passed very peacefully, they just filled 60 coaches with 2000 people who wanted to go. CAO stands for Centre d’accueil et orientation but in fact the orientation is pretty much absent, there are not enough translators nor trained staff and in many CAO not even enough food. What happens is that they get pressurized to apply for asylum in France and, unless there are independent volunteers and associations present, the information is of very poor quality, they have to make an asylum application without proper help and sometimes without an interpeter in their language! Well over half of the original population were still in the jungle and did not want to go to CAO: some did not want to resist, some wanted to resist peacefully, some wanted to resist by every means at their disposal. In the face of repeated and unfounded accusations from local authorities, police, the government and the media: migrants do not need any White activists to lead them and start riots, they can do by themselves, they are perfectly autonomous and we are there to monitor police violence and provide first aid to those who are injured. No Borders and ZAD activists present during the eviction were committed to non violence on that occasion – all those I spoke with at least. In the jungle, everybody knows how to fight and they could teach us. Many men were in the Army, others fought with the resistance, some were commanders. Some Eritrean and Ethiopian women are army trained too, they go in exile because they get conscripted, and some Kurdish women fought with the Peshmerga. We can not teach guerrilla tactics to the Kurds or to the Afghans, they are better than anyone else at it, having had centuries and millennia of training; only the mountains are missing. Instead, we are in a swamp, totally surrounded by very violent police armed to the teeth. Gloom not glam. The very reason why the government have concentrated all people in this god forgotten place is to control them and isolate them, it is a trap where people cannot defend themselves nor run easily. At least this is my logistic understanding of this particular field of operations. Real jungles were really autonomous spaces on land chosen by the people, this Lande was chosen by the French government. It is far from the eyes but not far from the cameras, it is the media circus where the distorted representation of the ‘refugee crisis’ in Calais is created and racist propaganda is spun. Maybe it is not purely a strange coincidence that this ‘jungle’ is near the motorway leading to the port: it is a stage set to create the spectre of an invasion of England and a spectacle that justifies the building of fences and walls, more brutal treatment of the people who are being dehumanized, and more brutal evictions! It is a spectacle, blood and guts alas are real, lots of people including underage kids have died here trying to cross in very dangerous ways. During the eviction the police were filtering access, allowing in the jungle only selected journalists and volunteers from selected associations to whom passes had been provided. Four independent journalists were arrested and put in garde a vu for 48 hours, and their interpreter, a Tunisian friend of us, was put in a deportation centre from where he was released a month later. It is a mystery to me how the remaining 800 journalists who were in the jungle during the eviction managed to do such a crap job. May be the principle of uniformity, they just had to show they were there but their reports are as diverse and interesting as if all their information came from the same press agency (a few news sources, like The Guardian and Liberation, distance themselves from this utter mediocrity and conformity). However there was a fear that as some point the police were to stop access to everybody, based on a previous declaration they were going to clear and close a vast area around the jungle to ‘facilitate operations’. That is why we went in the jungle ahead of the eviction and sheltered with the migrants, who are our friends. It was not for instigating riots or lighting fires, that is a lie put around by the police. To this day no White activist has been arrested or investigated in connection to disturbances or fires during the eviction. Instead it has been confirmed there were UK undercover police in the jungle at the time. It was towards the evening of the second day when police started moving into the jungle and ordering people to leave; people began burning their own houses. Fires began to erupt here and there and everywhere all through the night, amongst loud cheers – the mood was almost festive, and sound of gas bottles exploding. Volunteers tried desperately to put down fires with their small fire engine, only to see people starting fires again. The fire was the response of the Jungle to the eviction. People were well up for it and they did not need any encouragement. In the morning all the Afghan restaurants were gone and all shelters in the Afghan area had burned, bar a few that were still burning Many African houses had been burnt and destroyed too, the rest were in the process. The Great Fire of the Jungle continued all day long until there was nothing left to burn. The fire brigade was also powerless and they just managed to contain some fires and prevent loss of lives, for which they deserve credit – bur there were not even many firemen and fire engines. In spite of that there were very few burns and injuries, none serious. Very lucky, considering some people woke up because their homes were on fire! Needless to say, many lost their papers, belongings etc. In the morning the women held a demonstration, passing through the burning jungle, and demanding to go to UK. Previously the Oromo had demonstrated, demanding at least the Oromo children are let in the UK. In the meantime more people were leaving to get on the coaches. Volunteers from associations were rushing them, least they get arrested. Many people including hundreds of underage kids went missing before or during the eviction, many are still unaccounted for. The way minors were treated during the eviction is a scandal in the scandal. The only good thing that came out ftom the eviction was that the UK finally started taking unaccompanied minors without family in UK, under the Dubs amendment, beginning with a group of 54 Ethiopian and Eritrean girls. After the first group of girls went, hopes were high amongst the other unaccompanied children. 1500 minors were accommodated in the containers, by the jungle that was still burning. The containers had been left empty by adults who left for the CAO and had not even been cleaned. These kids were the lucky ones. Dozens of minors did not find a place in the containers and were told to go and sleep out in the jungle that was still burning. 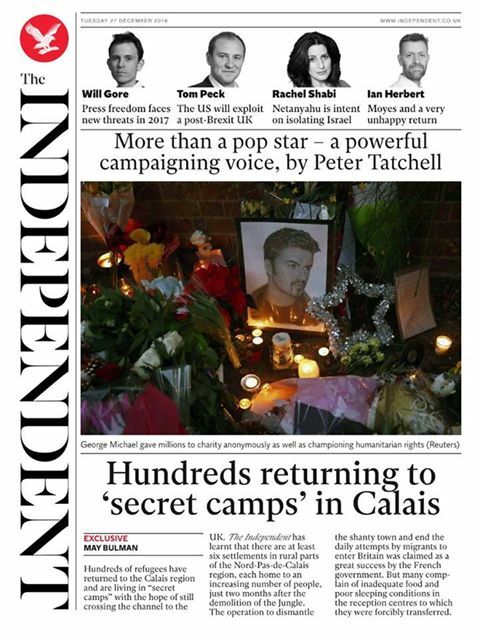 Some kids were assaulted by police after being lured under the bridge with the promise they would be sent to England – the incident is reported by The Guardian – https://www.theguardian.com/world/2016/oct/27/calais-camp-minors-children-abandoned-uk-france-human-rights?CMP=share_btn_fb– Some kids slept out, looked after by volunteers. Some kids went to sleep in the school of Chemin des Dunes. I had left the jungle but returned with a small group of No Borders and ZAD activists to help looking after the kids in the school. We wandered amongst what remained of the jungle looking for more kids. It was like a post apocalyptic scene at night: square miles of carbonized buildings, fires still burning, smoke, few shelters still standing, or half shelters, and people sitting around fires, chatting and making tea, quite relaxed as if their mood had not been affected. Some kids went in the jungle from the containers because they got bored there, or felt safer with their bigger friends and brothers. We gave phone credit to some Eritrean kids, they wanted to return to the containers; we met a group of young Afghans, some underage, they wanted to stay together; we had tea with some other Afghans, a young boy of 11 or 12 was with them and wanted to stay with them; we shared a cigarette with some Sudanese … eventually we were controlled by police near Jules-Ferry and they made us leave the jungle, so we took a long walk through the fields and returned to the school. In the morning the police raided the school and threw us out brutally, arrested two Kurdish men who were looking after the school and the kids, and proceeded to get the kids. All this happened during the press conference of the associations. Some No Borders and local anti racists had turned up at the press conference with banners: when the police went to arrest the kids the activists moved to defend them, so they were charged and pepper sprayed. François Guennoc, vice-president of the Auberge des migrants, who was the sole speaker at the press conference, had nothing to say: he just kept repeating that we had turned the Press Conference into a demonstration! A few days later there was a major fight in the jungle between Muslims and Christians, involving hundreds of people and also the kids in the containers. We put up some kids who had escaped the fights. One showed us his back, covered in old stab scars, large and deep, he had received in Afghanistan from his own brother, when he discovered he had converted from Muslim to Christian. He had been left for dead then. The day after the fight all the kids were moved by buses to CAOMIE (CAO for minors), from where many ran away. Most had not even seen an interpreter. The UK took 500 unaccompanied minors under the Dubs amendment, then they stopped taking more: they have closed all procedures to let more minors in under the Dubs amendment leaving hundreds of Calais kids stranded. Please put pressure on the UK government to take more! Some kids have gone on hunger strike to protest their treatment and demand that the UK take them. Two kids have tried to commit suicide, that we know of. Shortly before the eviction, the presidents of the associations Auberge des migrants, Christian Salome; Secours Catholique, Veronique Fayet; Medicins du Monde, Françoise Sivignon; Emmaus, Thierry Kuhn; and FNARS, Louis Gallois signed an open letter to president Hollande giving their approval to the ‘plan Cazeneuve’ – eviction of the ‘jungle’ and relocation of all the people in CAO, in a very short time and under threat by militarized police. All the associations ask is for the containers and the day centre Jules Ferry to be left – where services as meals and showers were provided and where the women slept, and for the eviction to be carried out with guarantee for human rights, which is patently absurd: it is not possible to carry out a forced eviction of such a scale in such a short time without infringing the human rights of those affected. I would really like to know from the presidents of these associations: why did you think that the forced displacement of 10.000 plus refugees from the camp was a good thing? Most people in the ‘jungle’ did not want to go to CAO, nobody knew what the new CAO were like, the places offered were insufficient and only temporary, the only possibility at the end is to apply for asylum in France, which does not suit all people, or else return to the streets. No real solutions. I am burning with indignation and still incredulous that people who profess to work for the migrants can betray them to the extent to support and congratulate the plan Cazeneuve. And what does everybody else think? So far only I have publicly complained, and the sites Rabble and Passeurs d’hospitalitees. If nobody else says a thing and they just all tail along, does it mean they all agree? The forced displacement of such a population is in itself an act of inhumanity. In Calais it has a precedent: during WW2 the Nazis forced the entire population of Calais Nord out of their homes and demolished them to create a secured area around the port. Now the planned expansion of Calais port has attracted €675 millions investments. 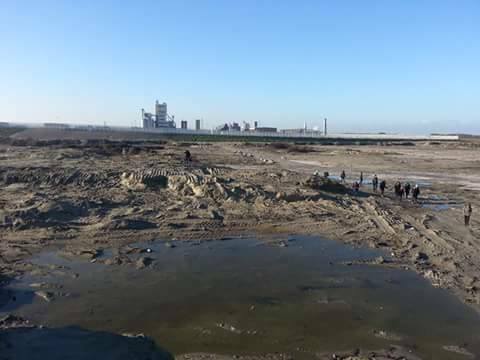 http://www.asce.org/magazine/20160112-port-of-calais-expansion-underway/ Clearly nobody wants a jungle near it, and thousands of people desperate to cross running to enter the new port. When cazeneuve came to Calais to announce the eviction of the jungle he also put the first stone of the new port – quietly, he is a shy man who does not want to see too many people and always moves surrounded by hundreds of police when in Calais, so that it is really difficult to see him if you are not a cop, an authorized journalist or someone from the local authority. In the last census before the eviction the associations counted 10.188 people including 1220 unaccompanied minors , but their counts, although accurate, are always below the real numbers. Many migrants do not trust the associations and do not want to be counted, and with so many people coming and going it is impossible to count everybody. Nobody knows how many there were, I believe there could have been 14.000 people or more (based on observation and a distribution of leaflets). The associations took the government to court but not against the eviction itself, they had agreed with the eviction: they wanted to keep the containers and the Jules Ferry centre, where they make their bread – fat chance, the containers and Jules Ferry centre are also near the new ferry port expansion. They also had a problem with the modalities of the eviction and the lack of guarantees for the unaccompanied minors. They lost, they certainly did not find a sympathetic judge but the case was neither well constructed nor well presented and, above all, it was not a case against the eviction. Around the same time, the case against the eviction of the camp in Norrent Fontes was won. The Norrent Fontes case was against the eviction until there are real solutions for everybody in the camp! The association in Norrent Fontes, Terre d’Errance, are militant, believe in equality and do not collaborate with the government or the police. After the court case was lost the associations’ presidents wrote another letter asking that the eviction is carried out before November. They could have refused to collaborate with the eviction as there were not enough safeguards, which would have made a point and could have possibly delayed the eviction – but no, they wrote a letter asking to hurry up with the eviction! There came the OFII and OPFRA to advise people to go into CAO, with the sole reassurance of an oral promise by Cazeneuve that people would not be put on Dublin procedure. This promise in many cases has not been kept – as usual it depends on the Prefects whether to put people on Dublin procedure. However people who apply for asylum in France can be refused, leaving them in danger to be deported. For the Sudanese for instance the rate of refusal is very high in France, many of my friends have been refused and have appeals pending. If they lose also the appeals they can be deported and I am afraid for their lives. The associations did not limit themselves to provide essential services during the eviction, as sometimes they claim. Volunteers helped persuading people to go into CAO, and helped to sort them by groups. People were made to queue for hours in an improvised ‘police station’ in a hangar near the ‘jungle’, in the cold and with no food and no water – volunteer Caroline Gregory made an appeal for bottled water and dry food. Then they were divided in 4 groups and given armbands of different colours. Then they were put into buses, often without having seen an interpreter in their language and not knowing what was happening to them. They could indicate on a map a preference for the location of the CAO, but they did not know anything about it. If animals were treated like that someone would complain. Instead, in the case of these human beings nobody complained, or almost nobody. During the eviction the associations held a press conference nearly every day. A thing that utterly irritates me is that leaders of humanitarian associations are chosen to represent the situation in Calais, and the media love them. The migrants, instead, do not trust these people at all, apart from some very rare exceptions, so this form of representation is really a total misrepresentation. Then the media are the propaganda machine of Capital and the State. Note: my anger is against the bosses not against the volunteers, who are very loving souls in general, though not always very clued up. Some volunteers I like well got upset when I said the associations in Calais collaborate with the government but it is the truth. I do not even need to expose the associations or prove what I am saying, one just needs to read the letter to Hollande the associations’ presidents signed. If they say the associations are not political organizations they should also stay out of politics, and limit themselves to provide humanitarian aid such as blankets and food. Instead it appears they are meddling with politics and how! I do not mean in any way to discredit the good work done or to accuse all volunteers of being collaborators – but I believe it is high time they reflect on their role, think with their own brains, stop following leads and stop obeying orders. Above all, we all should listen to the people we want to help, they should lead not us, it is their lives that are at stake not ours; they are intelligent people, most are highly educated and they know better than us what they want and what is good for them. It is legacy of colonialism to intervene without considering the people’s point of view. But some associations seem to have adopted the point of view of the government! 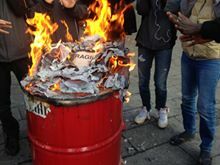 Help Refugees and others have not signed the letter to Hollande but they work with the Auberge des migrants, it is their partner association in France. Without the support of Help Refugees the Auberge would be nothing. Care4Calais work independently but their boss should not provide material to the police against Sikander of the kids’ restaurant, out of resentment. All communities were upset at the way Care4Calais were doing distributions, with long lines, taking people’s photos at the lines and putting them on the internet without people’s consent. Sikander told Clare Moseley that Care4Calais could either change their ways or stop coming to the jungle, expressing everybody’s sentiment, and Moseley took it personally. Moseley’s accusations are core in the case against Jungle Books kids’ restaurant and against the jungle businesses. It is not true that many migrants moved from Calais to Paris: many did go there before the eviction but did not stay there, they moved again, possibly to avoid police raids in Paris. I went to Paris just aftet the Calais eviction and I could find very few people from Calais. Just to clarify, as most of the media got that wrong and even many independent sources. The supposed influx of Calais migrants in the Paris camps, that was not, was used as a justification for the destruction of the camps in Paris. La Chapelle and Staligrad. Before and after. A lot more solidarity developed, citizens giving humanitarian aid, French classes in the street, legal information. A political struggle was born ( Refugièes de La Chapelle en Lutte) , there were several demonstrations and occupations. Police repression was very hard, there were 28 police raids in the past 5 months in Paris Nord and people acting in solidarity were also arrested. After the 4thNovember evictions however people were not allowed to go back. These scorched earth tactics are highly ineffective: people do not go away because they destroy their houses, many people run away from CAO, new people continue to arrive, and the situation in Paris turned from very serious to catastrophic, with thousands of people sleeping out without shelter, without enough blankets, in sub-zero temperatures, watching over their shoulder because of police controls and police raids always possible. With the opening of some 2800 places for the extreme cold in disused buildings the situations has slightly improved but there are still lots of people sleeping out, either because places are insufficient or because the emergency accommodation is so bad people feel safer in the streets. Some volunteers put families and young children in hotels and pay for them – happily there are virtually no women and young children sleeping out any more but it is only for temporary and the State are doing nothing for the families nor putting a penny. 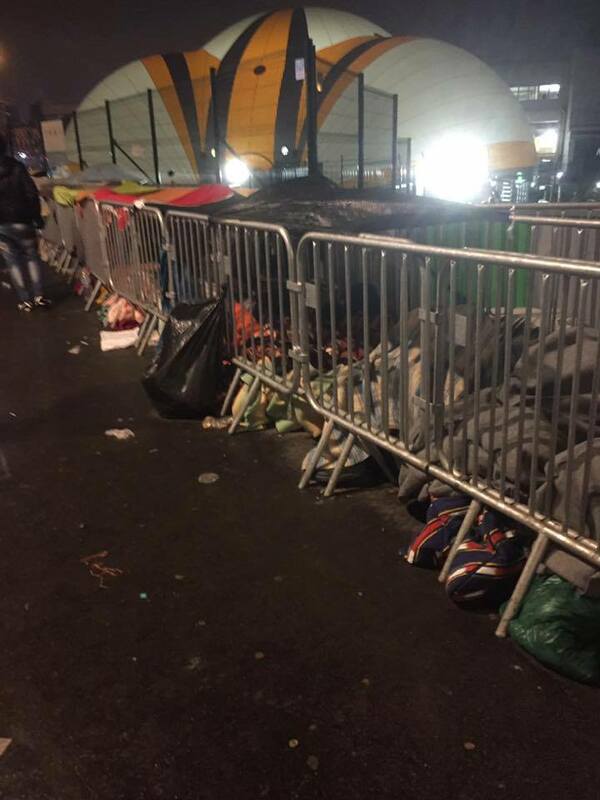 In he new ‘humanitarian’ camp at Porte de la Chapelle there are only 400 places for men. People who wish to register are made to queue all night long in front of the camp and police have been preventing them from sitting and even from eating because they have orders to stop them from camping there! Recently police have relented and have been letting people sit down. Previously people got often gassed and beaten when the queue got messy, with particularly ugly scenes in the morning when people are told to return the day after: some get upset and try to enter anyway. The camp is only taking 50 people per day, as 50 per day leave for CAO. Usually people are not made aware of the fact they can be deported to Dublin countries and volunteers working in the camp have been fighting for the right to provide correct information. The new ‘humanitarian’ camp of Annie Hidalgo, ‘socialist’ mayor of Paris, is managed by Utopia 56 and Emmaus. 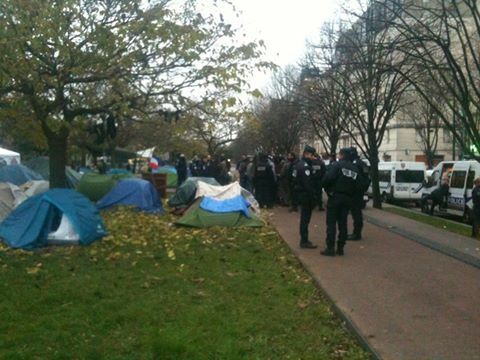 The largest informal new camp in St Denis, up to 700 people, was evicted the 16th December and all tents confiscated. They were offered emergency accommodation in disused buildings but many ended up sleeping rough in the streets. The real emergency is the unaccompanied minors: they keep arriving in Paris, the ‘official’ places for minors are 213 only, totally insufficient so kids are being turned out. They go to the volunteers and associations, some find accommodation thanks to them but not enough places there either, so many end up sleeping in the streets. Some of the kids were in Calais and are not giving up their dream to go to England: they want to go back to Calais to’set up another jungle’. Kids gang up with other kids, many smoke and drink, they cuddle together to keep warm at night, they laugh and joke a lot to keep their spirits up and they look after each other; or they find adults from their communities who look after them. Minors are however very vulnerable, especially the youngest ones: what if a kid arrives alone and gets targeted by pedophiles or people traffickers??? No child should be left on the streets to fend for himself. There are day centres for minors and young adults in Paris, but not enough bed spaces at night. Growing protests and hunger strikes in CAO and CAOMIE. Several dozens people including minors have staged protests in various centres or gone on hunger strike. Questo articolo è stato pubblicato in Senza categoria il 25 dicembre 2016 da EXODUS - watchtheborders.